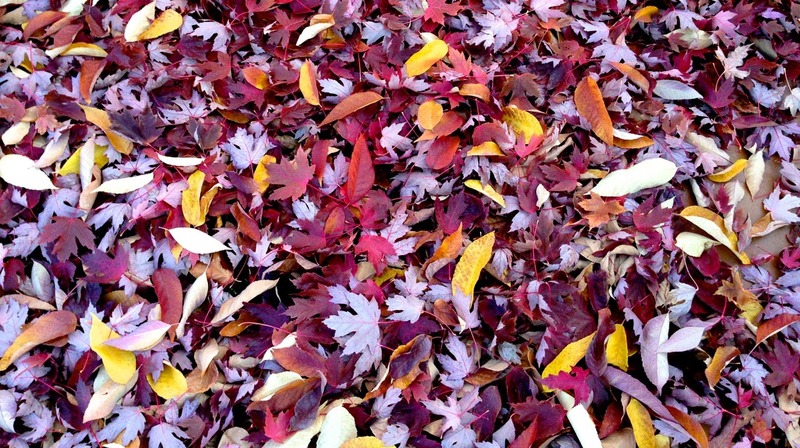 As I write this, snow is falling in New York City. 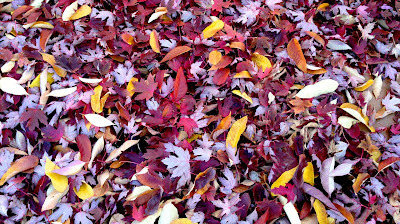 Autumn's colors, which came late, are now gone. But they were glorious while they lasted. This year, in addition to posting leaves that I found, I asked friends near and far to contribute their own favorites. 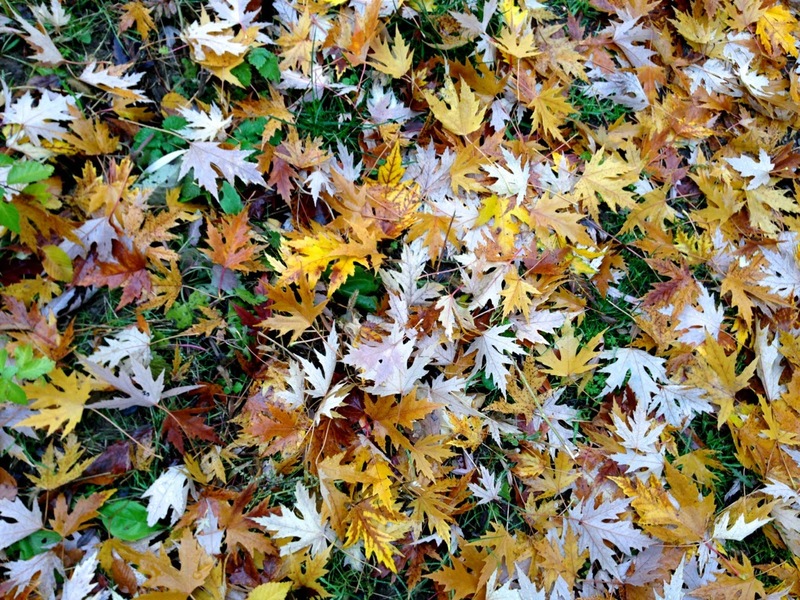 As a result, this post offers a bountiful array of nature's beauty. 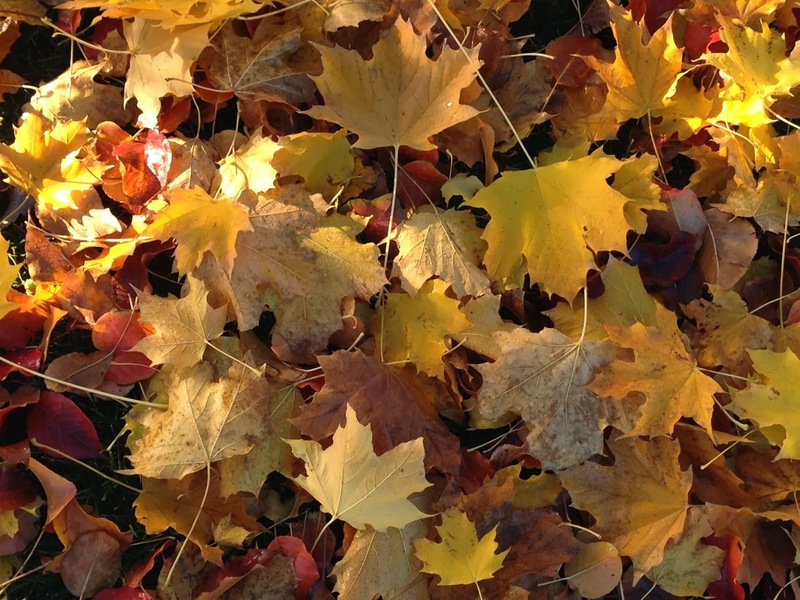 Give this a listen while you look at the leaves — Van Morrison's "Autumn Song". 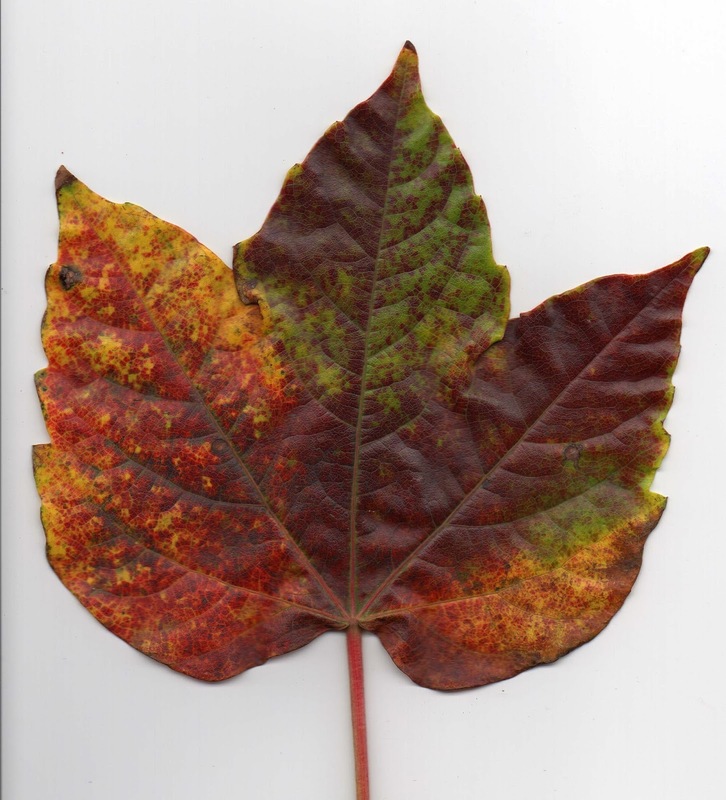 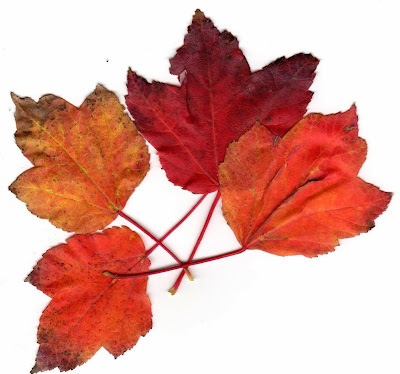 This is the first leaf I found in my neighborhood; it was a maple bigger than my hand, and it seemed to contain the entire history of its journey from green to red and gold. 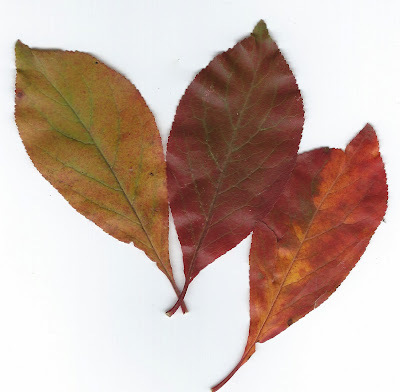 The basswoods, most of which contain miniatures of themselves within themselves, are a favorite. 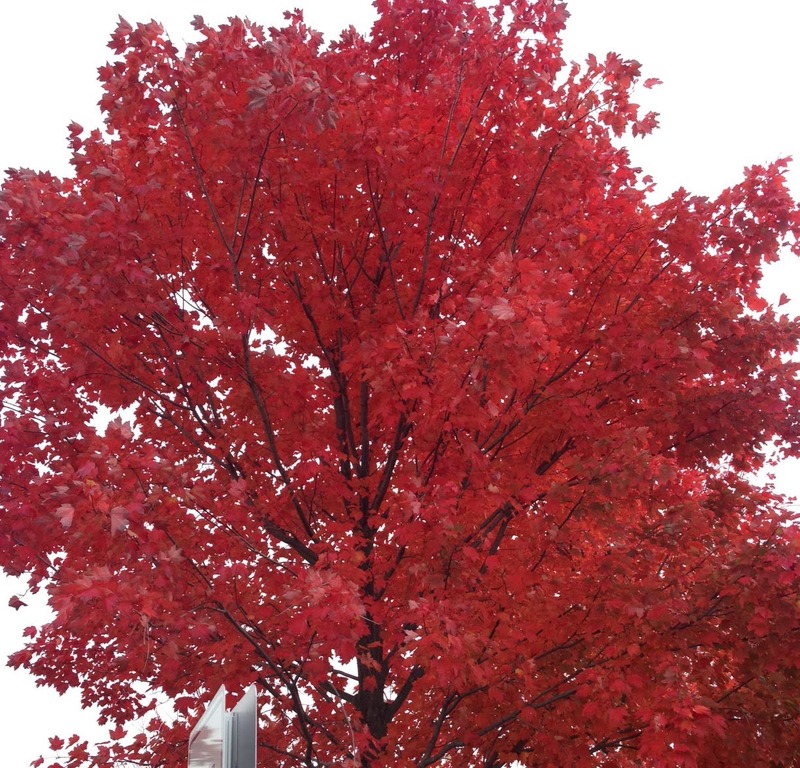 This is a fiery tree that I came across while I was driving on Long Island. I pulled over to the curb so I could take this picture of it. But enough of my neighborhood. 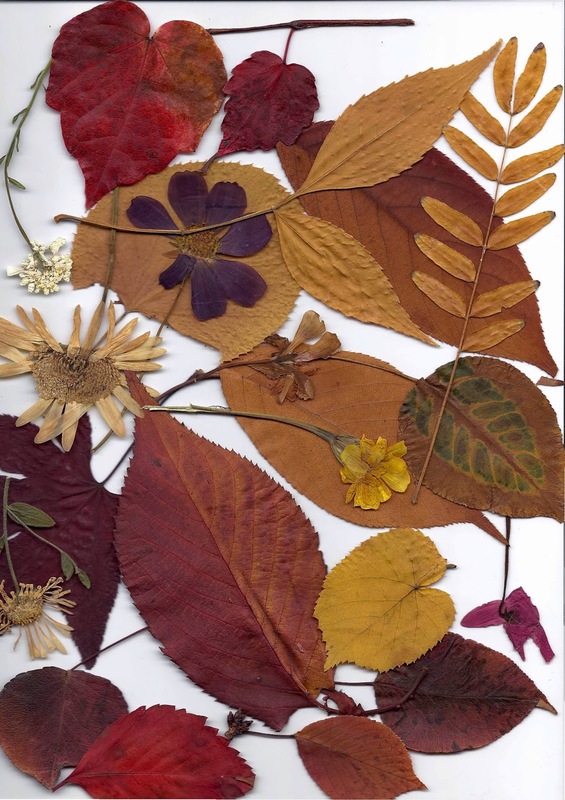 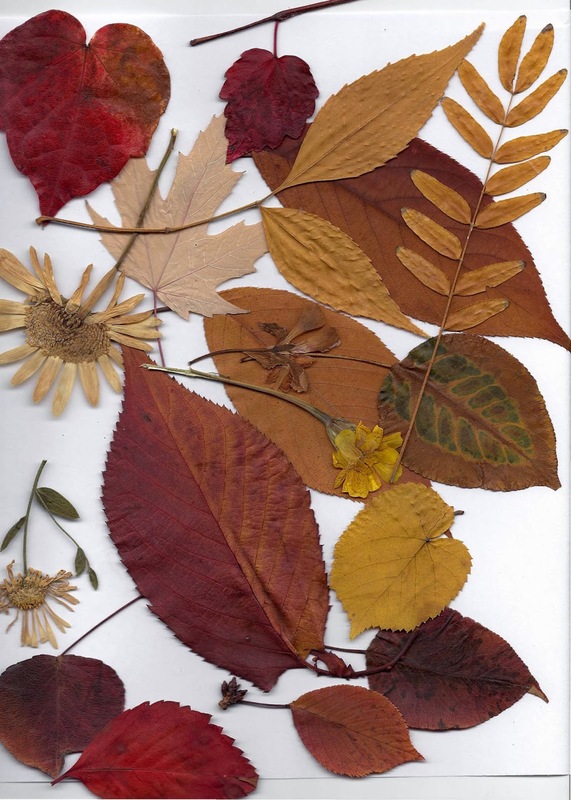 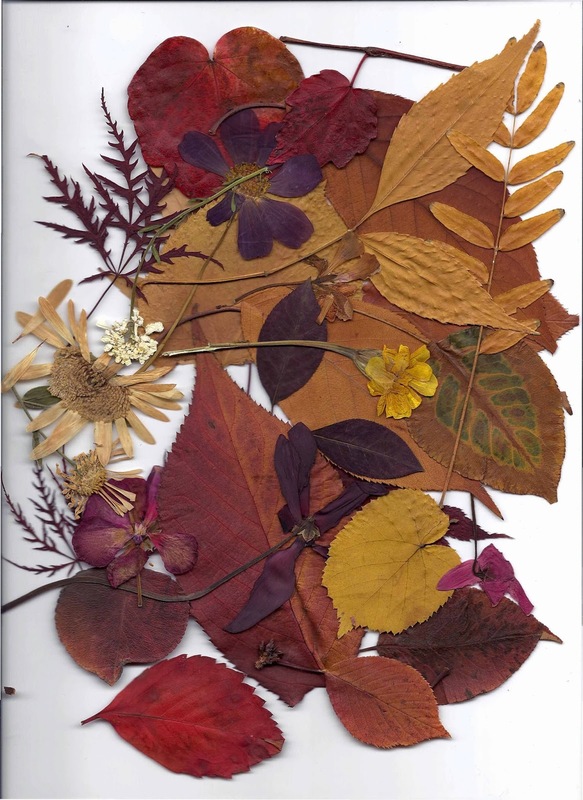 Diane Baranello, a life coach and fellow member of the board of New York Women in Communications, sent magnificent scans of leaves and flowers she's pressed. 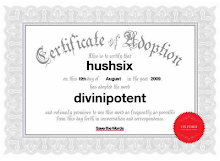 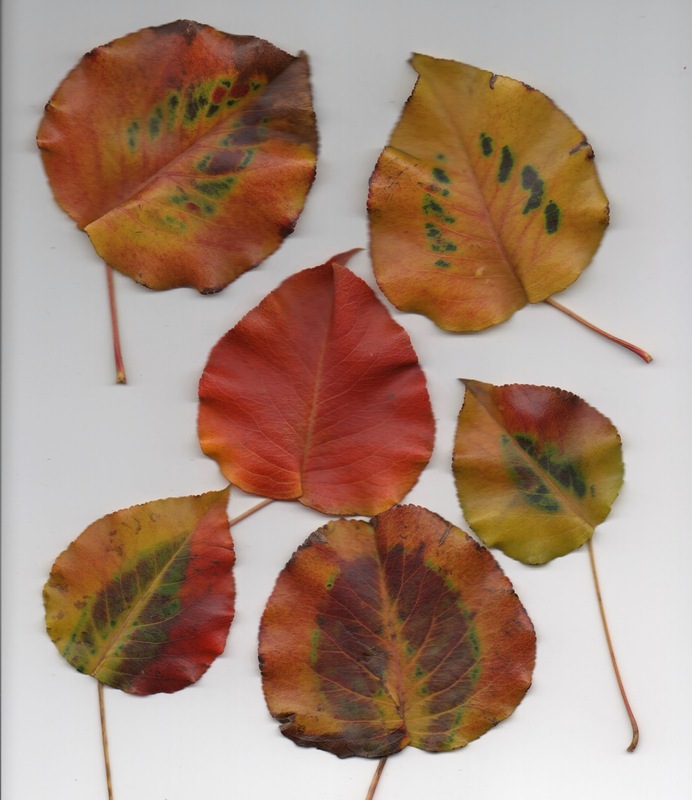 Pam Carlson, who describes herself as a "cheerful secular humanist with a cynical misanthropic streak," sent three lovely scans gathered near her home in Marin County. 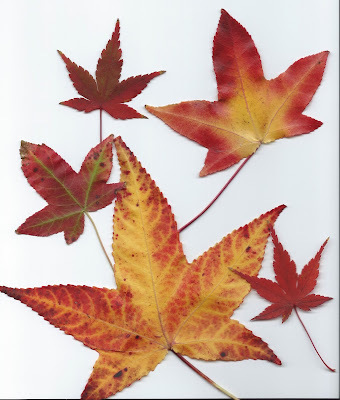 Plums, starfish-like sweetgum (? ), ginko and two other yellows that I don't recognize. 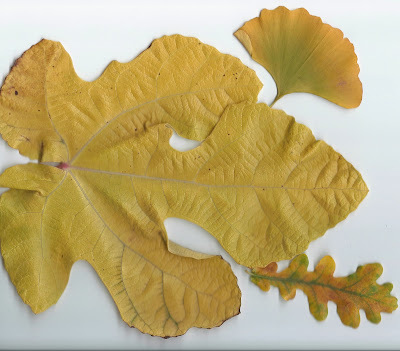 Update: Pam says the large one is a fig and the smallest is an oak. 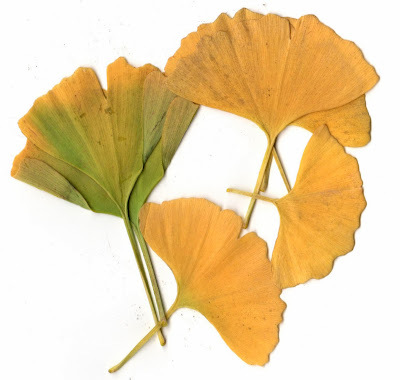 My old friend Briggs Meyer — we met decades ago when we were students at the School of Visual Arts — sent autumn ginkos and maples from San Francisco. 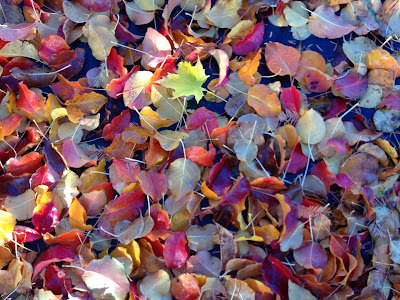 "The autumn leaves blew over the moonlit pavement in such a way as to make the girl who was moving there seem fixed to a sliding walk, letting the motion of the wind and leaves carry her forward..."
Author and professor Dr. Harrison Solow sent photographs of vast piles of extravagantly multicolored leaves from her travels in Northern California, Wyoming and Idaho. Do click on them so you can see them larger. 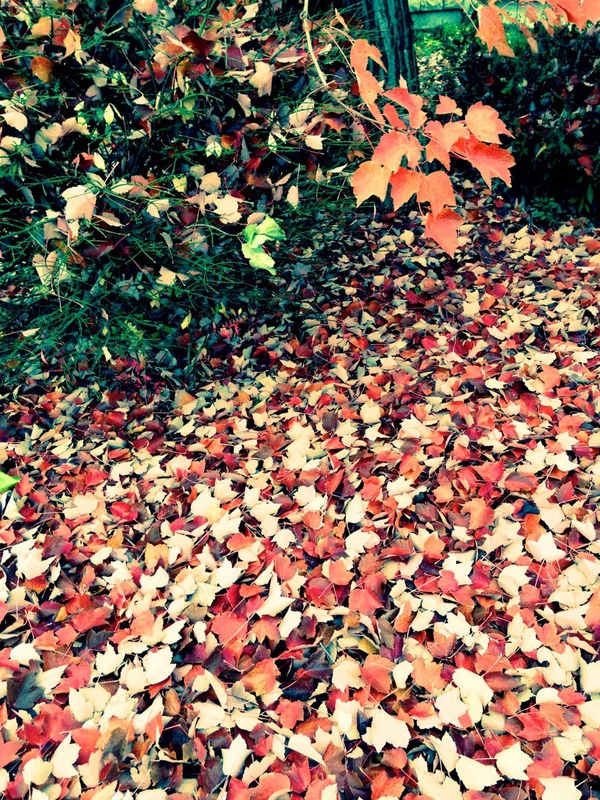 "The tints of autumn...a mighty flower garden blossoming under the spell of the enchanter, frost."